Book Recommendation -- A Commentary on Judges and Ruth -- Robert B. Chisholm Jr.
Several years ago, my plan for preaching started making a marked change in its direction. 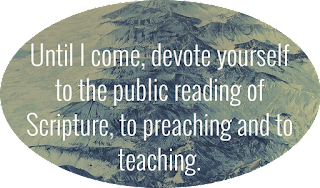 I started working with the process of expository preaching. To this date, I have completed several long passages of Scripture in this manner. When I started this journey, I realized that my study habits would have to change and also my reading tools would have to change also. Expository preaching means that you will have to use commentaries and language helps to accomplish the task of preaching God’s Word. So I started the process of purchasing good reference books that would serve more as tools to go back to more than once. Last year it was my good fortune to become a book reviewer for Kregel Publications. They have an arm called the Academic division that supplies some very good reference material for an expositor. This volume on Judges and Ruth was sent to me by Kregel. 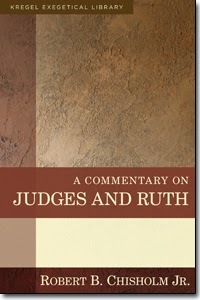 The most recent commentary is written by Robert B. Chisholm Jr., A Commentary on Judges and Ruth. Kregel sent me this book several months ago while I was just beginning to do an expository series on Psalms. I judged this book by Chisholm and liked it so well that I ended up purchasing Kregel’s volumes on Psalms by Allen P. Ross (the last volume is not available yet which will cover Psalms 90-150). The Ross volumes are also very good and worth the investment.